The Cross House has eight fireplaces. All were originally coal-burning (but I am not sure why they were ever used as the house had a new-fangled radiator system). Each opening is surrounded by an artful array of figurative tiles by the American Encaustic Tiling Company. A few have gone missing over the years. So, here is the deal. If you ever come across matching tiles, I will pay you a million dollars! Yes, a million dollars! 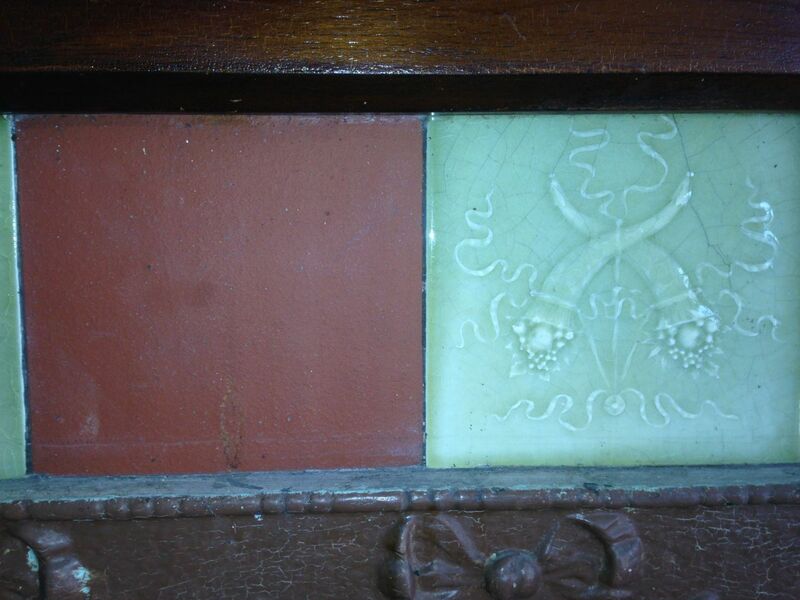 In the Octagon Bedroom, one tile is missing, and was infilled with a plain red tile. 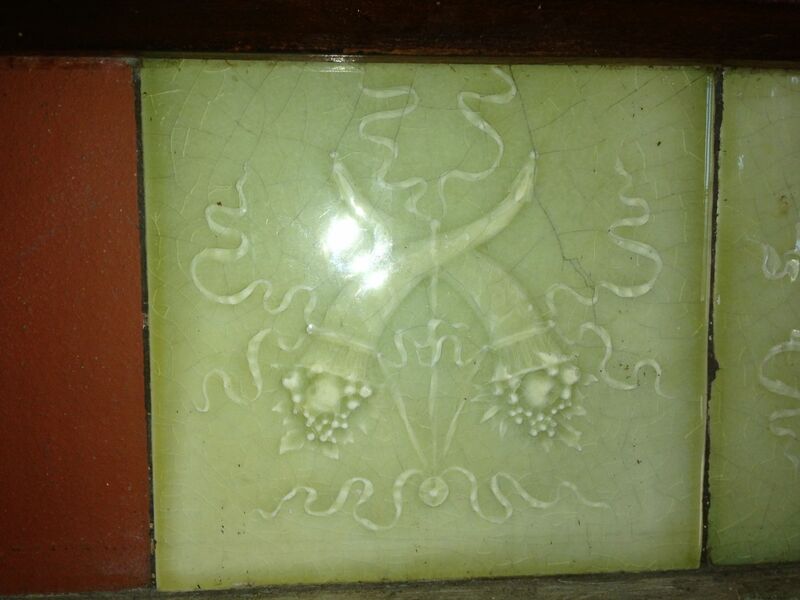 The adjacent tile was at some point reinstalled upside-down. The tiles are 6×6. The color in the image is not accurate. I have righted the image. Again, I need one such 6×6 tile. The color is accurate. The 6×6 tiles in the Sewing Room. I need two. One wonders what happened to this poor dear? 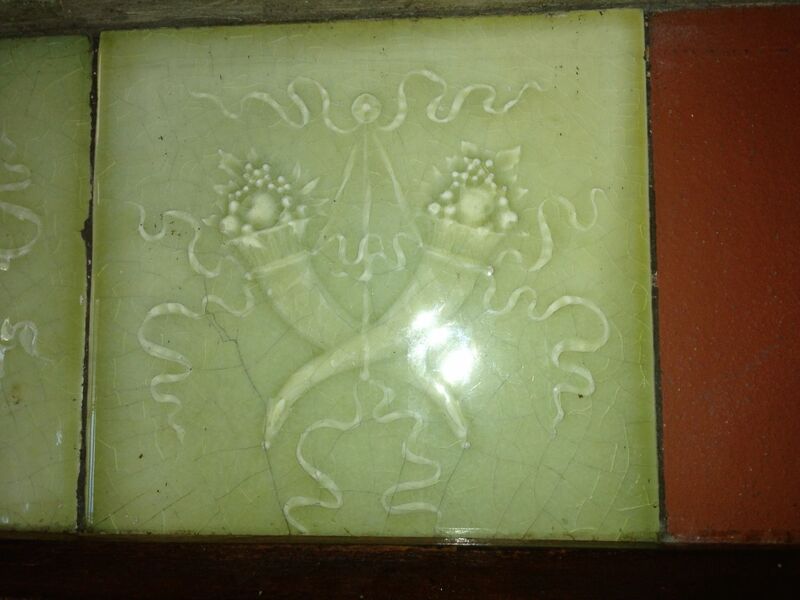 After a whole year of a daily eBay search, at last matching tiles were found. Whoee! But, darn, the color does not match. Poo. Oh, this will confirm that I do, indeed, have a million dollars. 9 Responses to Want To Earn A Million Dollars? Couldn’t you just replace the sewing room tiles with these others, and just make a pattern of sorts, color-wise? 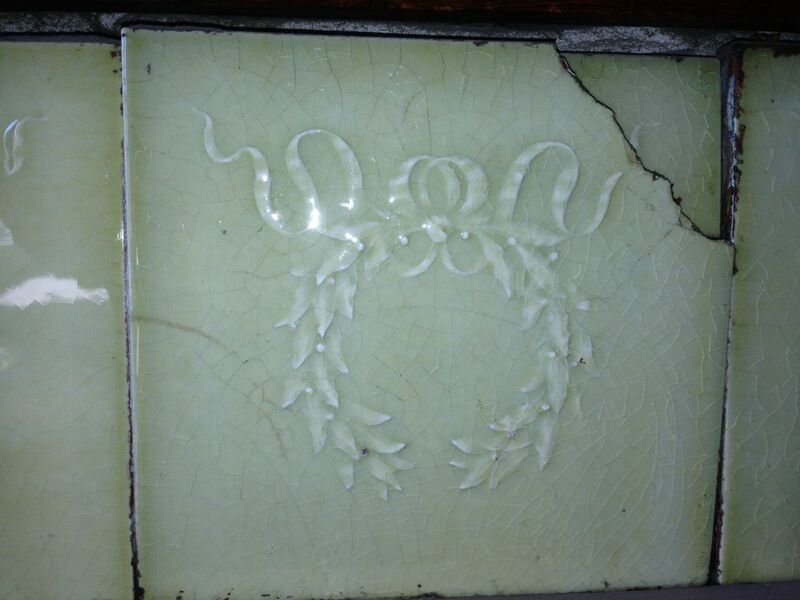 I know it wouldn’t be exactly right, but it would be the same laurel wreath pattern and still using antique tiles. Just a thought. 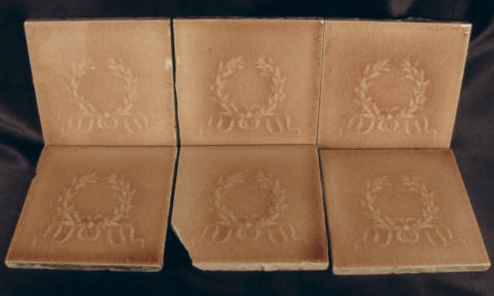 Not sure how many original tiles are in the fireplace, but you might be able to make these five good replacements work. OK! I contacted all three salvage yards! Crossing my fingers…. Ross: I’m not sure if you’d be willing to go with a reproduction. 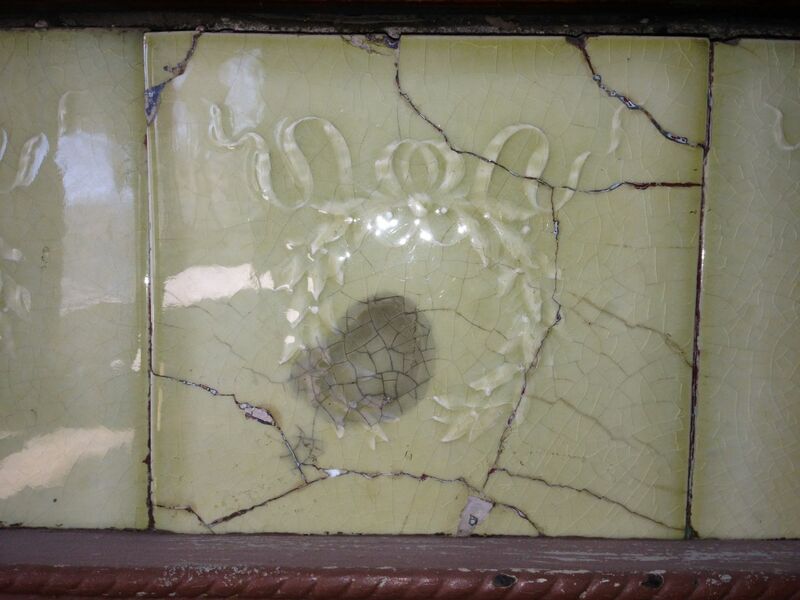 But Su Harvey at Prairie Mile Tile does beautiful work, and might be able to reproduce the tiles for you. Still searching, but have you considered reproductions? Cool! But they are gold, and I need pale lettuce green!